The OluKai Womens Ohana Dk Java Dk Java sandal is perfect for around water or around town. “Ohana” Hawaiian for family. From Olukai’s Makai Collection which is the true definition of the Hawaiian word ‘aina is the “land and water as far as you can see into the horizon.” The Makai Collection pays tribute to this link between ecosystems with footwear designed for the active waterman using comfortable, durable and breathable materials. The OluKai Womens Ohana Dk Java Dk Java features a water resistant synthetic strap, so getting it wet is no problem. The soft nylon toe post webbing adds to the overall comfort. OluKai’s anatomical drop in footbed will keep your feet happy all day long and cuts down fatigue. The non marking rubber outsole has a coral reef lug design for added traction. Part of the Makai (Toward The Ocean) Collection. Water resistant, quick drying and multi-purpose sandal. Synthetic leather water resistant upper strap with OluKai logo. Jersey knit lining and neoprene foam backer for added protection. Soft nylon toe post webbing. 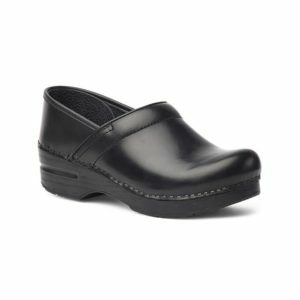 Non-slip EVA footbed and compression molded EVA midsole for comfort and stability. Uses the deeper, anatomically contoured Drop-in Comfort to fit better and feel great. Non-marking rubber or gum rubber outsole with coral reef lug design. The women's Ziera Banner White Stingray sandal is a must-have for ultimate comfort during the warmer days ahead. This women's Dansko's original features their PU outsole with rocker bottom to propel foot forward and provide shock absorption. Great for chefs, teachers, medical, or any working professional on their feet for extended periods of time.